On Saturday night, I went to see Evanescence supported by The Pretty Reckless live at the Hammersmith Apollo in London. I took my mum along with me and it was a fun night out. I planned to write about it and add some songs yesterday for my Sunday post but I was so exhausted 🙂 It was a late night and then yesterday I wanted to send out a few more submissions to agents so by the time that was done; I ended up flopping on the sofa to watch the repeat of X Factor and eat Doritos. But better late than never right?! The show started at 7pm and went on till 10.30pm so we got our money’s worth. There was an extra support band who weren’t great. 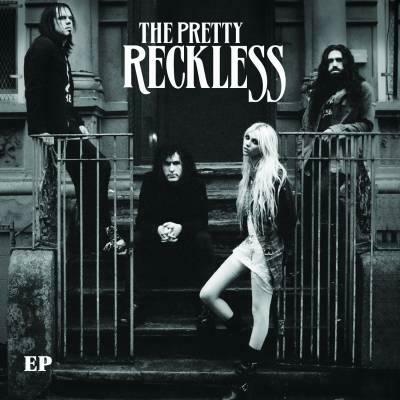 The Pretty Reckless did a great job, they sung 8 songs and the music was louder and rockier than on their album. Taylor did a good job of growling along with the guitars and showed she is a capable front woman. You wouldn’t believe she was the same girl from Gossip Girl. Then Evanescence came on and they were really amazing. Amy Lee has a really powerful voice live, she’s practically faultless and she also showed off her piano skills. The lighting and back drop worked really well and the whole crowd loved the show. The only part that I thought they could improve was there was no interaction between each other in the band, they stood in separate places and just played, barely even looking at each other. This was in contrast to Taylor in TPR who moved around her band and seemed to have more chemistry with them. They got the biggest cheer when the sung “Bring me to life” and it was great to hear that one live. The last song of the night was “My Immortal” and it was breathtakingly beautiful. I would definitely recommend seeing them live! Who’s been your favourite live act? It was a lot of fun! Haha don’t worry I like really different music too, it’s good to have variety! Oh wow I am so jealous – Amy Lee has an amazing voice I would love to see her live. I LOVE Bring me to Life. And I loved Dare Devil, so this is cool!!! I’m not a fan of live music, that’s for sure. Just doesn’t sound as good, and that bugs me. Yeah, I’m weird. I did see Newsboys in concert and that rocked, though I was deaf for about 24 hours after. It was worth it. Haha it’s a different experience definitely! Hands down, my favorite live act is Radiohead. I just found out they are coming to Dallas again in March. YES! It’s been 4 long years! My favorite song by Evanescence is My Immortal. So good to hear that it’s just as good live. Yay you get to see them again then! I really like “Creep”! I would love to see Evanescence live… it must have been an amazing experience! It was fun, I hope you get to go one day! I love Bring Me to Life! Let’s see, my fave live act. I haven’t seen many concerts so I’d have to say Depeche Mode. I listened to a lot of DM in college and it’s always fun when you know the words. I’ve been lucky to see a lot of Broadway and I think my favorite live show would be Rent – which I saw in London, actually. I love the energy. Good luck with the subs (I feel your pain)! Thanks Vicki, good luck to you too! I was just wondering what happened to Evanescence this wknd. I love Amy’s voice, it’s so powerful yet delicate. Check out their new album, it’s really good! I always loved Evanescence! Amy Lee really is so talented! Glad you had a blast! My favorite live act . . . Dave Matthews Band. Don’t know much about them, I’ll have to check them out! I AM SO JEALOUS OF YOU RIGHT NOW!!!!!!!!!! The Pretty Reckless are absolutely amazing and so are Evanescence, I really couldn’t think of a better combination for a concert! Hehe you would have loved it. I hope you get there next time!